In reporting its FY 2017 financials, Yingli has again revealed that “substantial doubt exists as to the Company’s ability to continue as a going concern.” It is seeking to agree on a debt restructuring plan with creditors, and is asking them to refrain from initiating bankruptcy proceedings. Overall, it recorded a 2017 net loss of US$510 million and total liabilities of $3.2 billion. It has not issued guidance for this year. Yingli Green Energy Holding Company Limited has released its 2017 financial results, which reveal a net loss of $510 million, up from the loss of $267.1 million recorded in 2016; and total liabilities of $3.2 billion or, minus the shareholder deficit, $1.6 billion. Meanwhile, it has just $58.1 million in net cash. In Q4 2017, its net loss was $75.6 million, an improvement on the $354.9 million it lost in Q3. 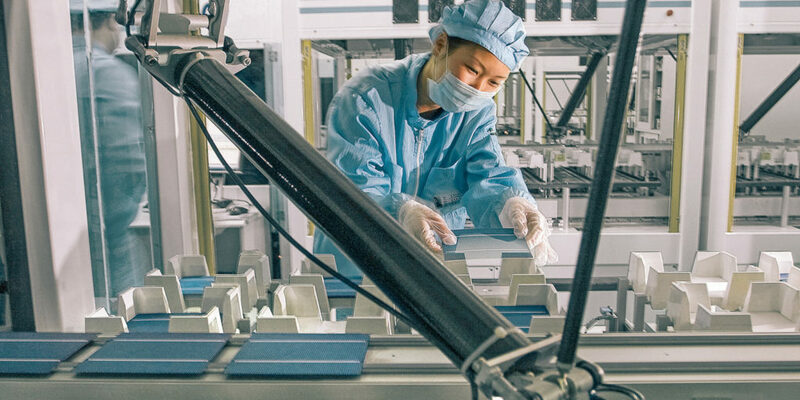 Yingli is seeking a number of measures to hang onto its business, including the renewal or rollover of debt and the search for new investors via the special committee it announced at the start of last March. “As of March 31, 2018, the lending banks conditionally agreed to renew or roll over RMB 1,702.8 million (US$261.7 million) out of RMB 10,407.0 million (US$1,599.5 million) of short-term borrowings outstanding as of December 31, 2017,” said Yingli. It added that while it has persuaded many creditors to wait, two have filed lawsuits, against Tianwei Yingli (a principal subsidiary of Yingli) for RMB 74.4 million and the costs of the lawsuit; and Yingli China, for RMB 106.4 million. “The Company does not expect these lawsuits to have any direct material impact on its overall operation or liquidity position,” however. On a more positive note, module shipments have exceeded expectations, with Q4 recording a 40% increase QoQ, at 837.9 MW; and FY 2017 seeing just under 3 GW shipped, up 36% on 2016. Despite the increase, FY net revenues fell slightly, from RMB 8,376.1 million in 2016, to RMB 8,363.7 million ($ 1.3 billion) in 2017. “The slight decrease in total net revenues despite a significant increase in the shipments year-over-year was mainly due to the continuous decline of average selling price of PV modules throughout the Company’s major markets, including China and Japan and decrease in other revenues,” said Yingli. FY gross profit and gross margin in 2017 were RMB 304.8 million ($46.8 million) and 3.6%, respectively, compared to RMB 1,151.9 million and 13.8% the year prior. Yingli has not issued financial guidance for this year. In today’s statement, it did say it expects to ship between 400 and 420 MW of solar PV modules in Q1, however. Yingli, briefly the world’s biggest solar PV module manufacturer in 2013 and 2014, and FIFA World Cup sponsor in 2014 – the first renewable energy and the first Chinese company to do so – has experienced troubled times over the past few years. It first announced substantial doubt to continue as a going concern in its 2014 20-F filing. Since then, the manufacturer has struggled to regain a strong financial position. Last year, it ranked as the seventh biggest manufacturer. Having fought to bring its utilization rate above 50% in 2016, the company formed a special committee last March to resolve its debt issues, and while it did appear to pay off some debts and reduce its losses, challenging conditions still prevailed.